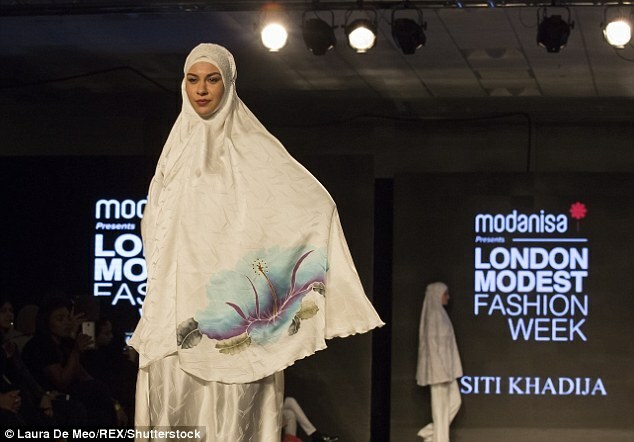 More than 40 designers from around the world showcased scarves, hijabs and loose-fitting maxi dresses at the annual style showcase organised by Haute Elan, who say ‘modest fashion’ is one of the fastest-growing consumer markets. It comes just two months after sportswear giant Nike launched its first ever sports hijab with UAE ice skater Zahra Lari. 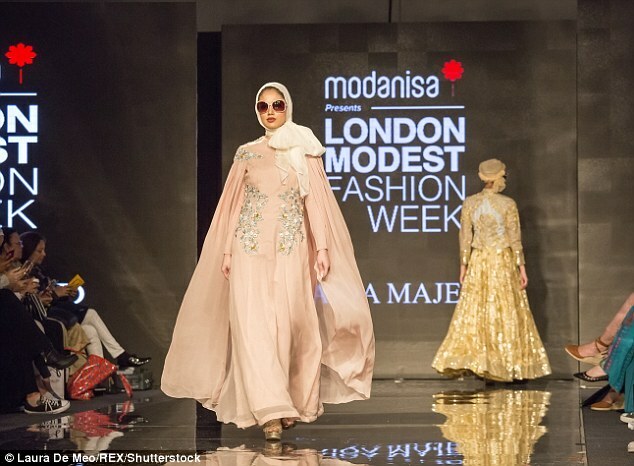 According to the UK e-commerce retailer, the event, described on its website as a ‘new and exciting addition to London’s fashion calendar’, is the first of its kind and aims to boost brands that cater for religious women and those who prefer to dress modestly. As well as runway shows, the event featured shopping, talks and workshops, as well as networking and trade discussions – and a gynaecology clinic. Shows featured designs from labels such as Nasiba Hafez and 1001 Abayas. Designer Roda Abdi previously described modest fashion as: ‘Making sure length of the clothes is appropriate, not sheer, and no slits or cuts which would make the clothes unsuitable for modest wear’. Meanwhile hijabi blogger Dina Tokio, who has more than 1 million Instagram followers, last year praised the event as ‘revolutionary’.